Microsoft is busy in pushing the Windows 10 update to all Windows machines. Millions of users across the world already reported about the successful upgrade of their PCs to Windows 10. On the other hand, we got numerous reports from our users who faced troubles to get updated to this latest version of windows so, we are here to explain and solve the problems regarding Windows 10 upgrade. 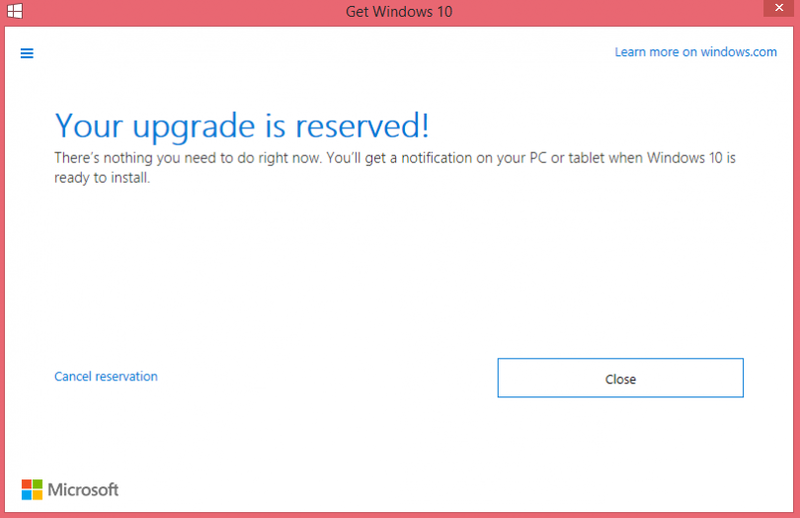 Users should use “Get Windows 10” app to reserve a copy of free upgrade. 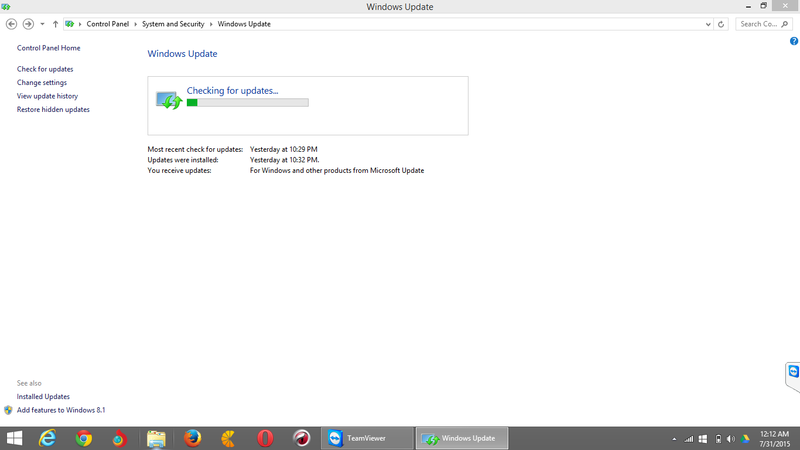 It appear with Windows automatic updates if you enabled. You can see this at the right corner of the taskbar. Fire it up and Click on “Reserve your free upgrade”, It will give you couple of instructions, just follow it and provide your mail ID. For More details Click Here. If you would like to create a USB drive or DVD to download once and upgrade multiple PCs – Click Here. Note: Windows 10 upgrade is currently available for PCs and Tablets but the free upgrade of Windows 10 for mobiles will be available for most phones starting later this year. You are in queue to get Windows 10 only if you can see the Windows 10 icon in your PC. This will automatically download your free copy of windows and notify you once it’s finished. This may include additional data charges. The Windows 10 update weighs at 2.71GB in size so make sure, you are connected to stable, faster internet connection. 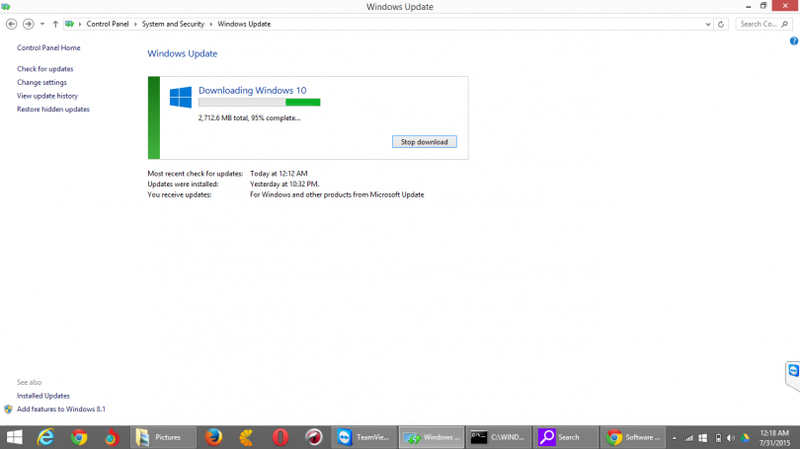 We reserved our copy of free windows 10 and get updated to it. It took us over 2 hours to finish the entire process. Initially, we got struck by couple of problems. The common one is that it may prompt you with error code like 0xxxxxx – Windows 10 cannot install because other updates are being installed. But, we didn’t have any ongoing update installs at that time. If you face the similar kind of issue, just click on help then download WindownUpdateDiagnostic app and fire the application. It will check and resolve all the problems. It will also solve other errors successfully. Once we are done with diagnostic process, we restarted our laptop and tried to download the Windows 10, which allowed us to download it successfully. It took couple of hours to finish the installation but it’s worth for your time. Microsoft is pushing the Windows 10 update in waves so even though, your machine is ready for update, Microsoft has to say Ok to start download. If you don’t have enough patience for official notifications, you have one more method to try your luck by forcing the download manually. For this, there is simple process, which might turn your luck early. Follow the below steps. 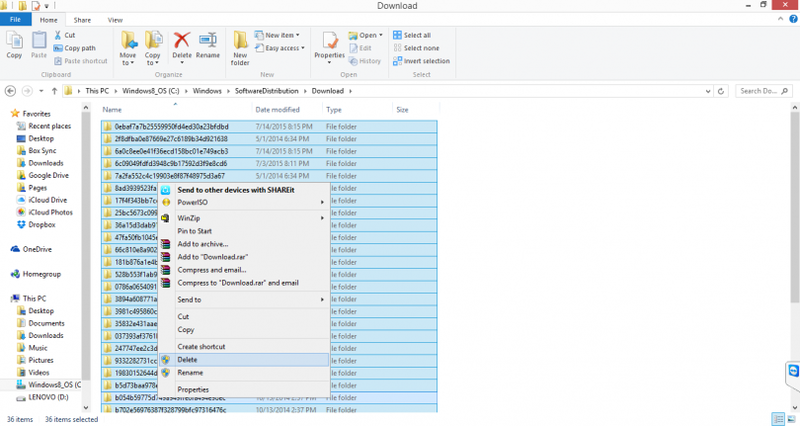 Navigate to C:WindowsSoftwareDistributionDownload or navigate to Windows files, where you have installed Windows OS. Once you navigated to the earlier mentioned folder, just delete all the files present in that folder. This will give you the Windows Update a clean state. Go to Search bar and type “Windows update” and run it but don’t hit ‘check for updates’. This time type cmd in command bar and right click on it, choose “Run as administrator”. Type “wuauclt.exe /updatenow” but don’t hit enter. 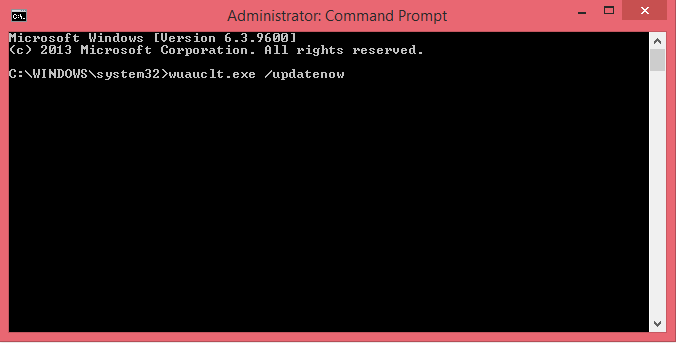 When you type this command, the Windows will automatically start checking for updates. While this is happening, go back to Command prompt and enter the command you already typed in. As soon as you hit enter, you should now see Windows update about the downloading of the Windows 10 files. Just let it finish the process and have fun with latest Windows 10. Don’t forget to let us know your experience with Windows 10.